It's easy to get bored with the same old knitted scarves, hats, gloves or even more complex knitwear like jackets and sweaters. But knitting experts across the globe have come up with infinite ways to shake things up in the crochet world with knitted artistry that is creative and cutting-edge! From furniture to cupcakes, all the way to rollerskates, cigarette packs and motorcycles -- you name it -- somebody has knitted it! 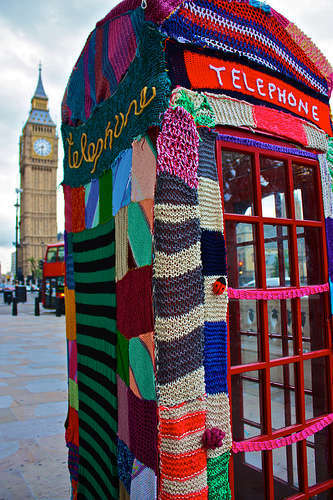 While knitting may seem like an outdated activity for grandmas and their bored grandchildren, it has proven to be a trendy artform through these 100 crocheted creations created by people from all walks and all ages. Just don't try to eat that knitted hamburger; although, if you do, be sure to add some of that knitted ketchup!